W. T. White H. S.
Classmate Cheryl Ann Allison Warren passed away Saturday, February 23, 2019. The W. T. White Class of 1970 extends our condolences to her family and friends. View her obituary (PDF format). PLANNING FOR OUR 50TH REUNION! Our 50th reunion is only two years away. An initial meeting was held Friday, October 19, 2018. Click here for more information. PLEASE CONTINUE TO HELP US FIND OUR MISSING CLASSMATES! Please help us by taking the time to look at our list of missing classmates and letting us know if you have any idea of their whereabouts. Maybe we can find them by the 50th reunion. And please keep your profile information current so we don't lose track of YOU!! NEWS AND ANNOUNCEMENTS about our fellow classmates! Check it out. FACEBOOK! 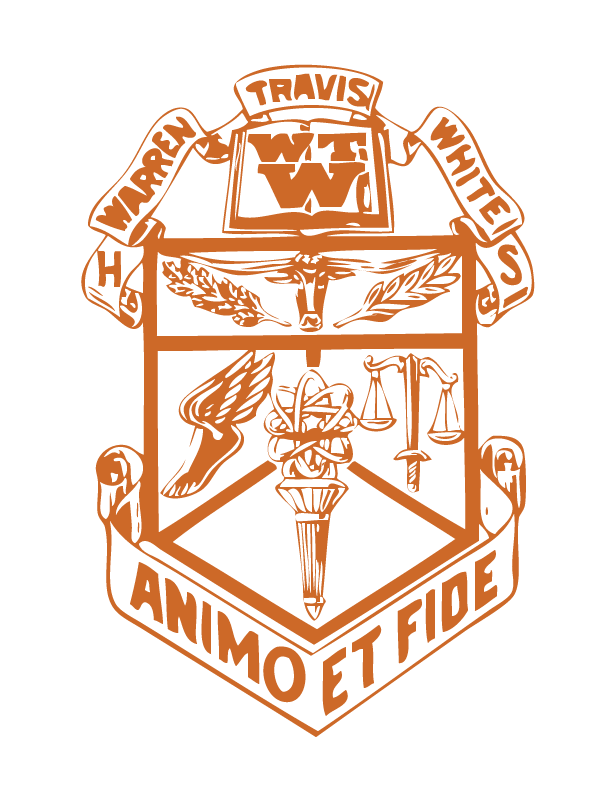 If you use Facebook and are a member of the W. T. White Class of 1970, visit our Facebook Group page to join the group and conversation. A classmate has inquired if anyone has a copy of the literary magazine entitled "Searching" that was published our senior year. It contained poetry and other literary offerings by WTW students. Tommy Whitehurst did the cover art. If anyone has a copy, please let us know. Happy viewing and Hook 'Em Horns! Report broken links or corrections to this web page to info@wtwhite70.com.